Could you offer this lovely boy a new home. He will need some extra TLC for the next few weeks. With the freezing temperatures this morning, please be aware of the dangers of antifreeze! How are your pets teeth? Our Ystrad Mynach Branch have recently upgraded their dental facilities. Are you planning to travel to the EU with your pet after March 31st 2019? Pen Y Fan - We smashed it!! We are over the moon to announce that our final amount raised is £1004.00!!!! 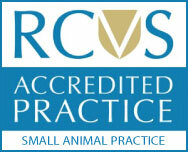 Rabbit Awareness Week Vaccination Offer! There seem to have been some gremlins at work in our computer system! Has your pet fallen behind with their vaccines? Congratulations to one of our lovely vets Lauren, who got married recently! Did you know….. 75% of rabbits seen by vets are diagnosed with dental problems. Rabbits teeth can grow at a rate of 2-3mm per week.